If you ask a random Norwegian to mention one march for marching bands and drill teams, the answer is clear: The Old Hunters March! Without this traditional music piece, the National Day on May 17 will stand naked. 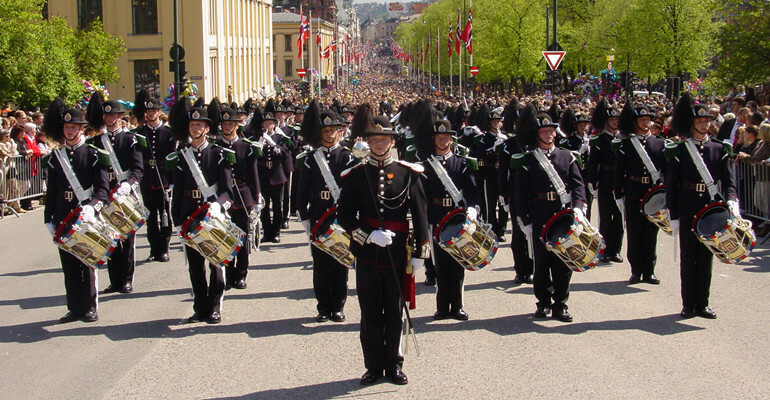 The march is written for marching bands in 1799 by Frederik Schiöldberg and is also known as the Old Norwegian Hunters March. It is believed that it has an even older origin, but that Schiöldberg was the first to write it down. The Old Hunters March is probably the most played composition by Norwegian marching bands of all times, if we disregard the national anthems. The piece is always on the repertoire when His Majesty the King’s Guard Music Troop is marching into the Palace Square on the National Day on May 17. Since 1888, it has been a traditional part of the ceremony at Changing of the Guards at the Royal Palace. 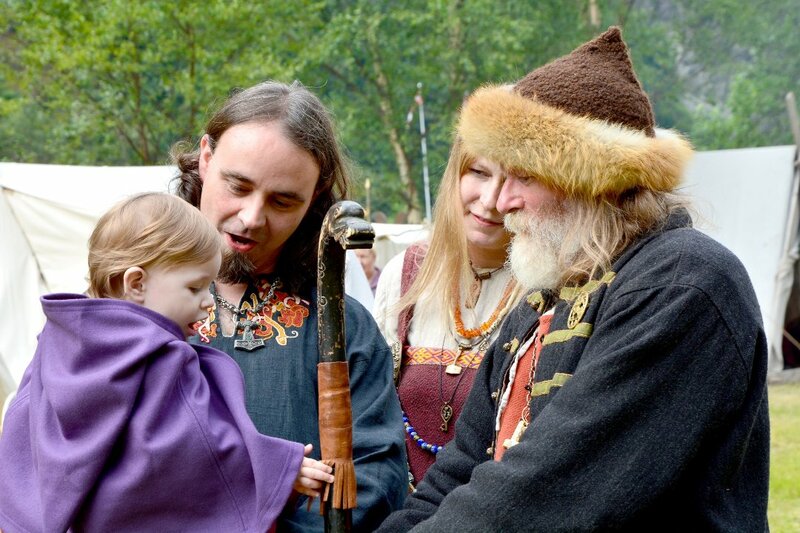 The march also has official status within the Royal Court, and when the royal procession arrives to official dinners at the Royal Castle, it is accompanied by the Old Hunters March. After 1799, there are written several different versions, and in the rest of Europe, one can find versions that differ significantly from how it traditionally has been played in Norway. Takk for dette bidraget! ❤ It brings back so many fond memories and also tears to my eyes every time I hear it.